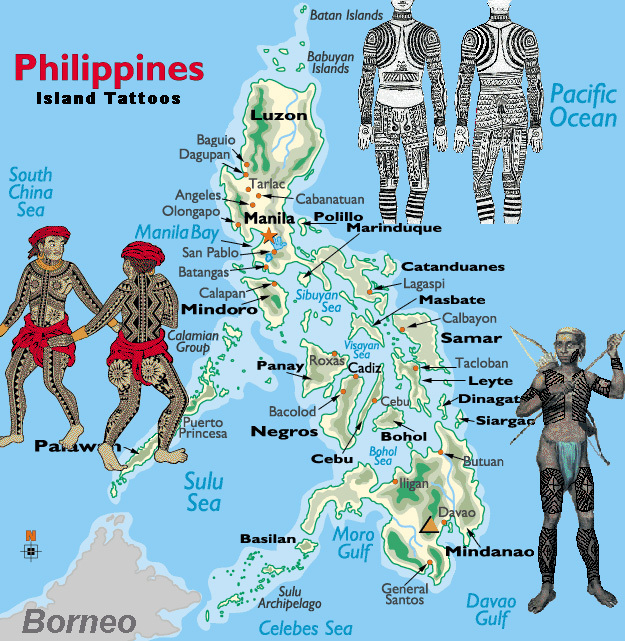 Examples of tattooing in certain regions of the Philippines. Tatak Ng Apat Na Alon Tribe (Mark of the Four Waves) was established in 1996 and the revival is still going! Lets continue to celebrate our ancestors’ ancient traditions so that they won’t be forgotten.